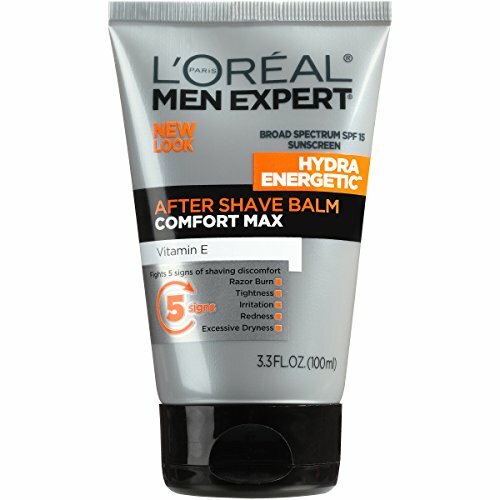 Get this L’Oréal Paris Skincare Men Expert Hydra Energetic Aftershave Balm for Men with Vitamin E, 3.3 fl. oz. for as low as $4.49 (was $6.49) when you check out with Subscribe and Save. This deal was valid as of 04/13/2019 3:48 pm CST. If you do not see the price we have listed, this deal has ended. For easy monitoring, add the item to your cart and watch for additional price drops. Shipping is free on every Subscribe and Save order– no Prime membership required! About Subscribe and Save: When you order with Subscribe and Save, you’ll receive a 5% discount with 1-4 subscriptions each month. Once you reach 5 subscriptions in a given month, you’ll receive 15% off of each item in your delivery. You are only locked into the price for the first delivery, subsequent orders will be placed automatically and charged at the current rate. You may cancel your subscriptions at any time. For more tips and deals, join our SS Deals Facebook group!